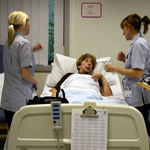 Kingston University's unique partnership with St George's, University of London (SGUL), means that health and social care students can access the combined resources of both Kingston University and SGUL. As a student on this course you will be based mainly at the Kingston Hill campus but will have access to facilities at the St George's, University of London campus also. Kingston University's Kingston Hill campus offers you modern facilities and include well-equipped laboratories where you can practise within a safe environment. Our clinical skills laboratories house all the equipment needed to simulate clinical practice including high-fidelity patient simulators. 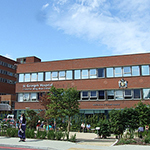 The St George's, University of London campus in Tooting is based alongside St George's University Hospitals NHS Foundation Trust, and offers you the specialist teaching environment of a medical school.